The need for realtime chat can’t be overemphasized. This includes realtime communication with your users which increases customer satisfaction and, as a result, make your business more credible, convenient and reduces wait times etc. 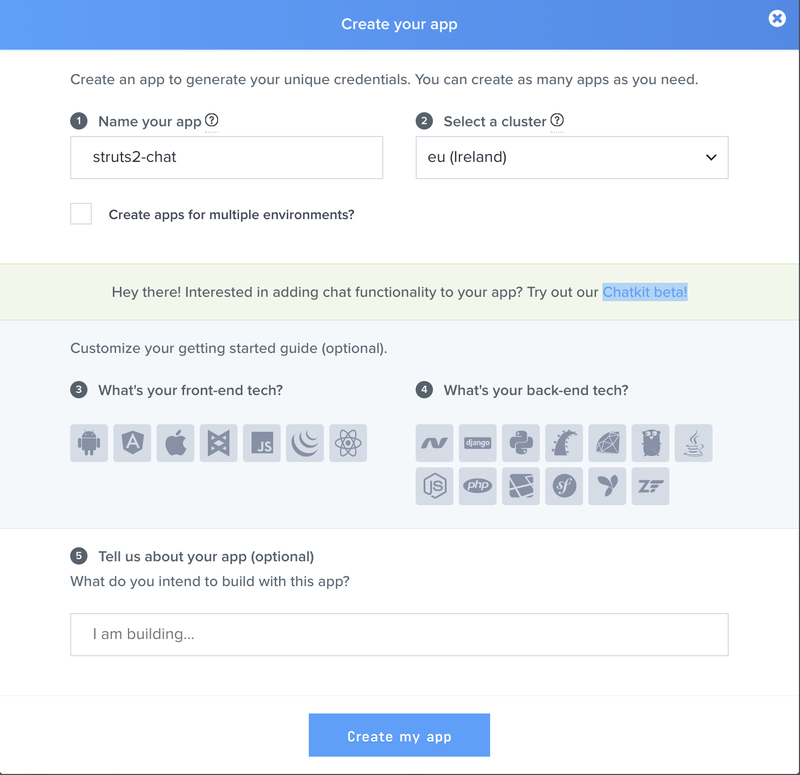 Have you ever wondered how you could add a realtime chat to your Struts 2 web application? Have you considered the number of plugins or libraries that you might need to pull in to make it work? Worry no more, Pusher got your back. In this article, I'll work you through how to build a realtime chat app in Java Struts 2 by leveraging Pusher realtime technology. Struts 2 is an excellent MVC Web application framework for developing enterprise Java web applications. It enables rapid development of Web applications and handles most of the plumbing required in large Web applications. Pusher is a hosted service that makes it super-easy to add realtime data and functionality to web and mobile applications. 💡 Pusher sits as a realtime layer between your servers and your clients. Pusher maintains persistent connections to the clients - over WebSocket if possible and falling back to HTTP-based connectivity - so that as soon as your servers have new data that they want to push to the clients they can do, instantly via Pusher. 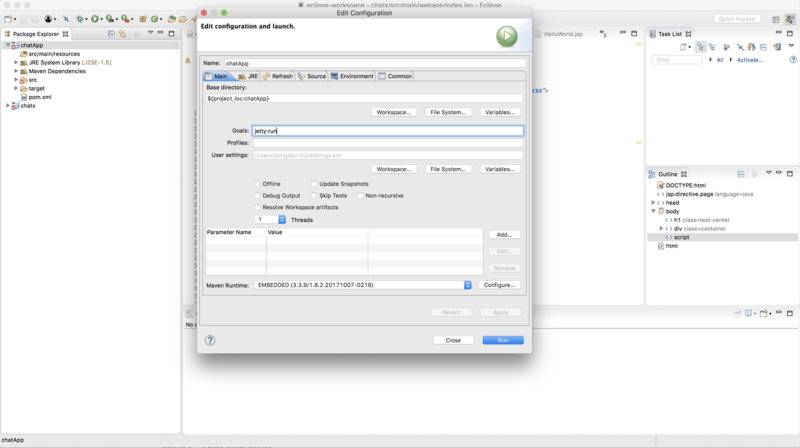 Java SDK – Download and install Java SDK from Oracle site if you don’t have it installed already. 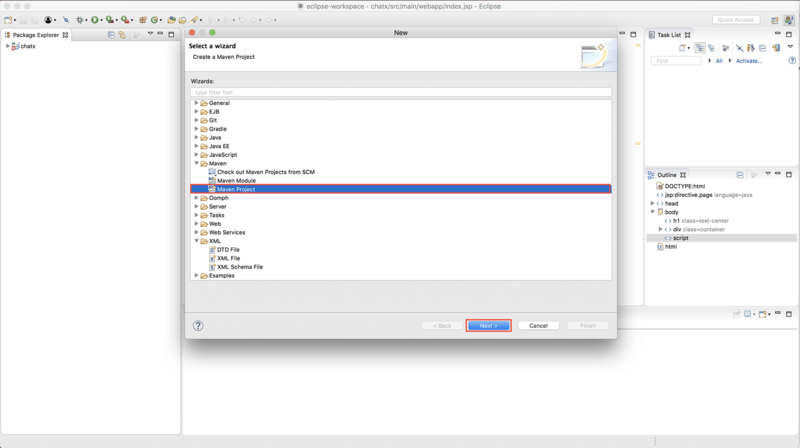 Eclipse IDE – Download and install eclipse from their website. Java language (you should know the basics). Sign up or login to your Pusher account and create a new pusher app. A Struts 2 application is an ordinary Java Web application with a set of additional libraries. 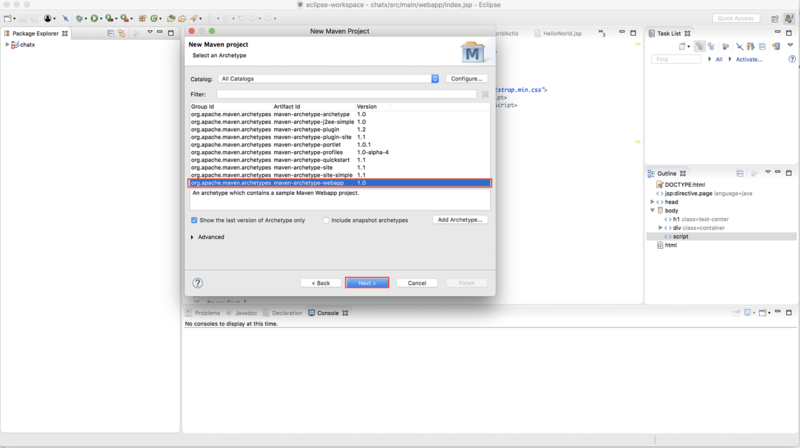 Now, Select Maven >> Maven Project then click on Next. Now select your project location, this is where you want your project's files to be stored. After that click on Next to proceed. In my case, I used the default location by just clicking next. 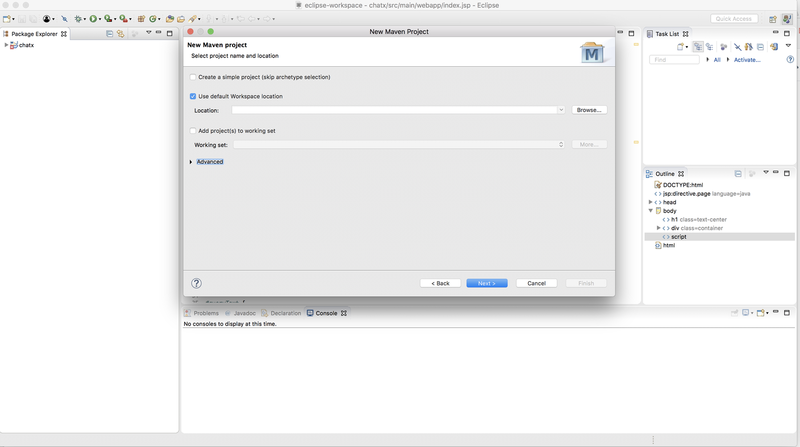 Select org.apache.maven.achetypes maven-achetype-webapp 1.0 then click on Next. On this window, put in the **Group Id** and **Artifact** **Id** then click on Finish. Since we’ll use maven to run the application, we need to add jetty-maven-plugin to the pom.``xml file. 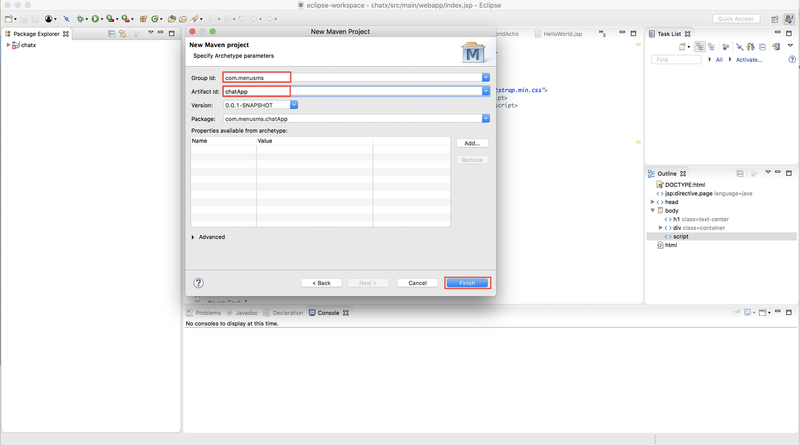 Now, from your Eclipse IDE, right click on the project name - **chatApp** - or any name you have chosen. Then go to **Run As** >> **Maven build**. Now type in jetty:run in the goals then click **Apply** and then click on **Run**. Note that chatApp is the folder name of your project. If you have used a different name, you should change the URL accordingly. Struts 2 libraries Jar files will be downloaded and added to our project when you save. To see what’s happening under the hood, like when errors occur which will help during debugging, let’s add a logging dependency to our application. Pusher has a Java library that we can use to interact with it’s API. We’ll add this to our application. 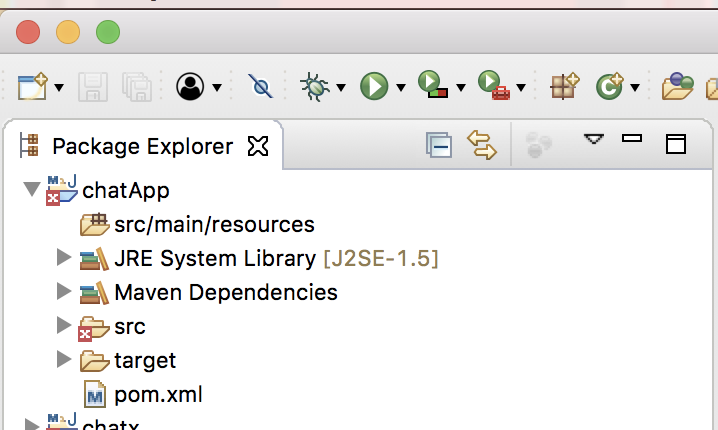 This will download and add pusher java libraries to our application. To enable the Struts 2 framework to work with our web application we need to add a Servlet filter class and filter mapping to web.xml. Below is the filter and filter-mapping nodes you should add. You can see this as the router for our application. Struts 2 can use either an XML configuration file or annotations (or both) to specify the relationship between a URL, a Java class, and a view page (such as index.jsp). For our basic Struts 2 application, we’ll use a minimal XML configuration. "-//Apache Software Foundation//DTD Struts Configuration 2.5//EN"
Next create new files called src/main/webapp/assets/custom.css and src/main/webapp/assets/custom.js. Note that the assets folder is not created by default, we need to create it. Now, visit the webpage again at https://localhost:8080/chatApp/. Here, we’ll create an action class that will serve as the server for sending data to Pusher. Create a new folder called java in the src/main folder. Here, we have declared some variables - message, userName, uniqueId and data - which will be sent to Pusher. When the execute method is called, the data is sent to Pusher (make sure you change pusher details in the execute method with the details you saved earlier). With this, we are sending the data to the struts-chat channel and also triggering the message event. 💡 Channels provide a great way of organizing streams of real-time data. Here, we are subscribing to the struts-chat channel (NB: The channel name can be any name you like). Once we are subscribed to a channel, we bind that channel to an event. 💡 Events can be seen as a notification of something happening on your system and are ideal for linking updates to changes in the View. In this case we want to bind to an event which is triggered whenever a user sends a message. Now, we have a route available - http://localhost:8080/chatApp/message. When this URL is visited, the execute method in the class MessageAction.java will be invoked. When a user submits a message from the HTML form, we’ll send this data to our Java class where it will be sent to Pusher. Using jQuery, we’ll send this data to the message.action route. We’ll subscribe to a channel (this is the channel that we are pushing data to in our java code above) and bind that channel to an event. We have subscribed to the struts-chat channel and bind it to message event. Pusher really makes life easy when it comes to adding realtime features to web applications. In this tutorial, we have been able to learn the basics of how to add chat to a Java Struts 2 application. If you have any questions or observations, feel free to drop them in the comments section below. I would be happy to respond to you.